The 2018 South African Cross Country Series Auto kicks off on 16 and 17 March in Dullstroom, Mpumalanga, and the Ford South Africa Neil Woolridge Motorsport team can't wait to commence their challenge for this year's Class T title. 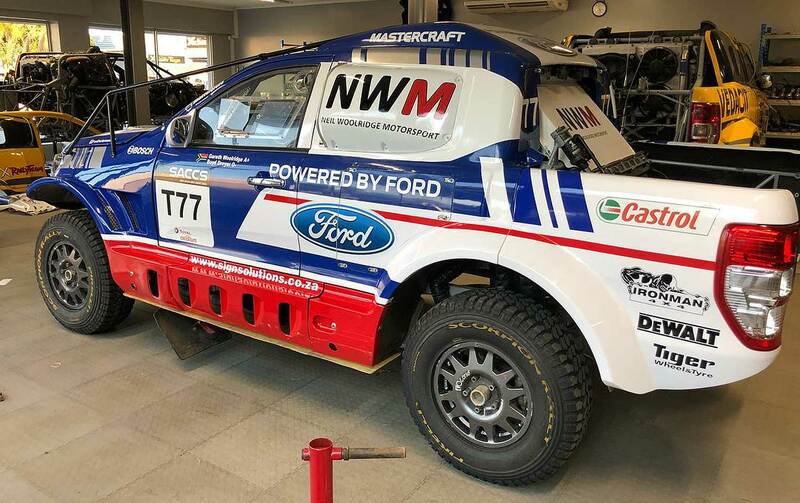 The two official Ford NWM V8-powered Rangers will be proudly flying the flag for the blue oval, crewed by the young but fast South African combinations of Lance Woolridge / Ward Huxtable and Gareth Woolridge / Boyd Dreyer. A third NWM-Ford Ranger will be driven by the Brazilian X-Rally Team of Marcos Baumgart and Kleber Cincea, who just won the Brazilian "Minas Rally" with their yellow (South-America-)Ranger. 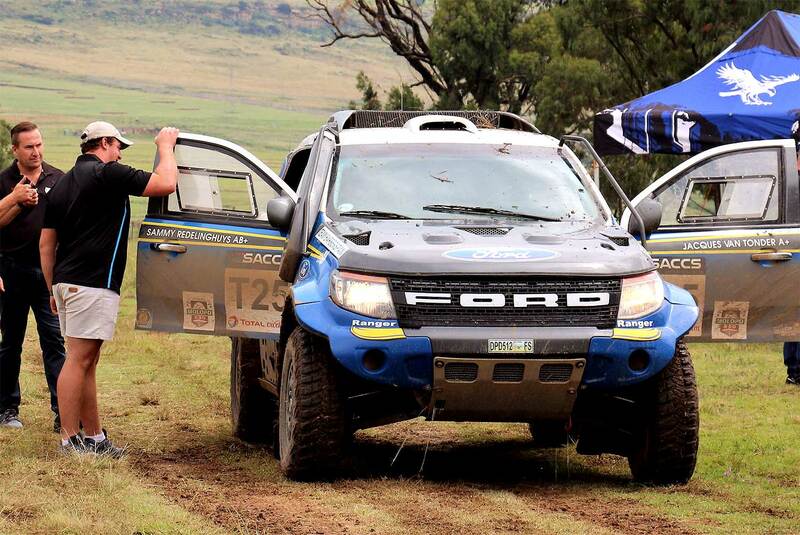 With a fourth Ford Ranger there will be the team "Road to Dakar Racing" of Jacques van Tonder and Sammy Redelinghuys. 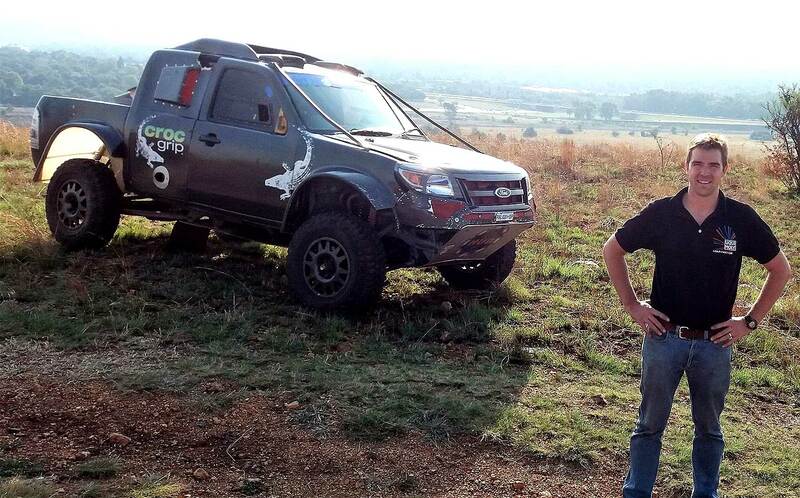 For the South African Dakar-Quad star Brian Baragwanath, it appears the move from Quads to Cars is complete. Two years ago Baragwanath flirted with offroad car racing joining the tour for a few chosen events in a stock CR-T Buggy in class P. The bug bit hard and last year he bought a class T 5-litre 412hp V8 Ford Ranger to chase down even more experience in class T.
Now Brian Baragwanath will be back in the FIA class together with Leonard Cremer and a Century Racing CR5 Buggy, built after the FIA regulations and especially the Dakar Rally needs. It boasts a Chevrolet Corvette LS7 V8 7.0 engine (400BHP, 650Nm), it has an upgraded six-speed sequential SADEV gearbox with seamless shift and features hydraulically operated on-board jacks. The 1450 kg "light" Buggy is built on a full tubular space frame chassis with full carbon fibre bodywork, 17” forged bead lock wheels, a wishbone suspension front and rear as well as fully uni-sided front and rear uprights, with an integrated tyre inflation system. 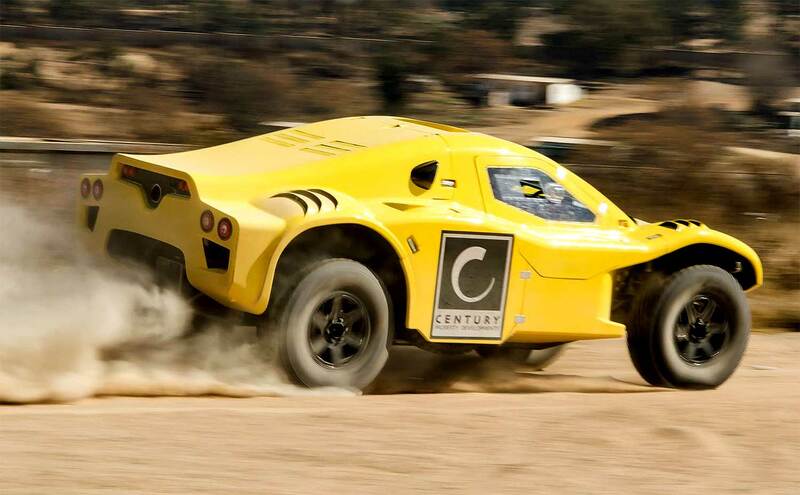 Maybe a sign that we will see Baragwanath back in the Dakar, this time again on four wheels but with a Century-roof? Dullstroom is the highest town in the country with the Mpumalanga 400 a new event on the calendar. The race is set to become the biggest sporting event in the town’s history and immediately plunges competitors into the realms of the unknown. The 45 kilometer qualifying race to determine grid positions will start at 13:30 with a ceremonial start on Friday, March 16 and the race on Saturday at 08:30. The race will be run over a 170 kilometer loop that will be repeated twice. There will be a compulsory 20 minute service break and regroup after the first lap. The second lap will start at 12.00. Race headquarters will be located at the Old Transvaal Inn adjacent to the Village Green Cricket Oval and the designated service park. Public entrance to these areas and vantage points along the route is free of charge, while various community organisations in Dullstroom will offer a variety of food and beverages. More informations and the entries-list you will find on the link below this article.